Tag Archives for " Boaty McBoatFace "
I am sure you will all be heartbroken to hear that UK Government has scotched the popular vote to name the polar research ship “Boaty McBoatface” : The ship will now be named “RSS Sir David Attenborough”. Serves you right plebians for even thinking that your opinion counts for anything. We at Roam very much like David Attenborough and if you are unfamiliar with who he is, here is a clip. We have enjoyed his many natural history programs over the years. Congratulations David or should I say Davy McDaveface. Giving the people what they want ! Dahlings, this is week when it showed the limitations of why you should not ask the Plebeians what they want – you may not like the smell of having to deal with them. And no, I don’t that silly election thing with ‘Little Hands / Large Manifesto’ Donald, ‘BusTED’ Cruz, ‘I did not not have textual relations with that server’ Clinton or ‘Eat the rich’ Sanders. Instead, I refer to two other separate instances of humanity showing it’s true colors this week. 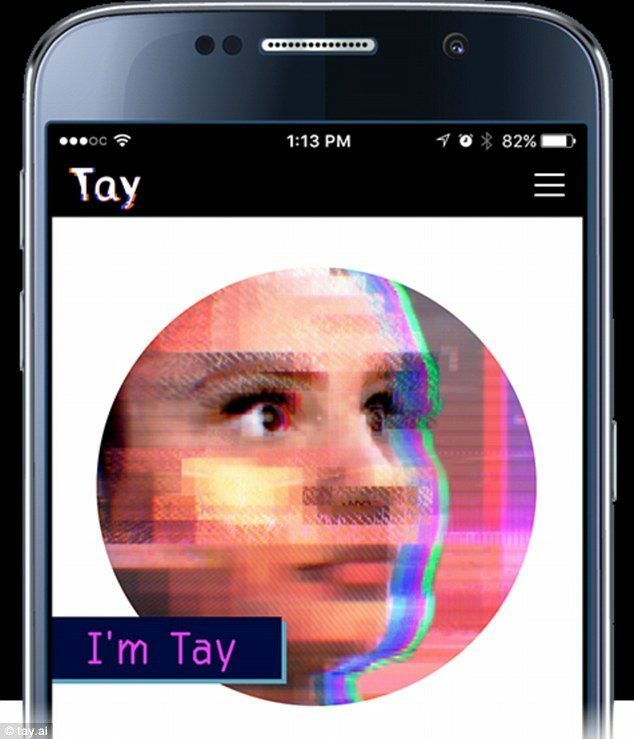 The first was Microsoft shutting it’s online Artificial Intelligence flagship ‘Tay’ less than 24 hours when it began to “tweeted wildly inappropriate and reprehensible words and images” that included support for Hitler and genocide. Oh dear. What had started so loftily, came crashing down after listening to and learning from human interactions. I guess those hipsters in Redmond, Washington (a bunch of rich eaters supporters if you go by the result of their recent State caucus, without noticing they those local rich folks such as MS employees may also look pretty tasty on the grill) are too young to remember the lessons from ‘Ed209’ and back before that, HAL9000. This is rapidly getting a bit iClaudius techie nerdy for me but let’s just say it is history repeating itself. Or is it art imitating life ? Or is it life imitating art? Or is it art imitating history? or is it history of art? ENOUGH !!!! !Either way or whatever is imitating what, the second instance I want to mention is across the pond in Britannia also have their wisdom of the crowds moment where the oiks have been asked to name a boat for NERC – Natural Environment Research Council. And how did that end up you may ask? I invite you to watch Roads-2-Roam’s first mockumentary based over a monologue by Jon Holmes during BBC Radio 4’s “The Now Show” to find out. If you can’t watch (if you are work you’re excused ) or can’t be bothered to watch (then you’ll miss out on Holmes’ excellent delivery), the result was top vote for the ship’s name was as you may have guessed by the title was .. “Boaty McBoatFace”. But that is not the end of the story, the Toffs and the establishment don’t like it. This adds to a long list of ‘not asking the online public what they think as you may not like the answer’. Before that in 2010, a Justin Bieber website polled users as to which country he should tour next, with no restrictions on the nations that could be voted on. The result.. North Korea. Oh I like that last one. Power to the People. How about this slogan- “BIEBER, FOR KOREA”. I’ll start up a gofundme for that !